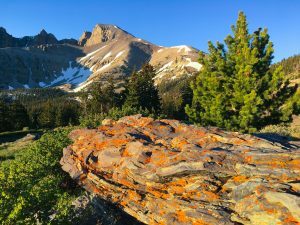 Looking to make a fairly easy trek up to 13,000′? 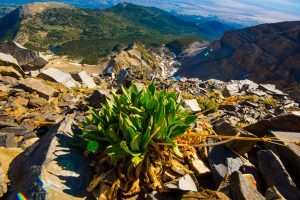 Look no further than Wheeler Peak in the Great Basin National Park. 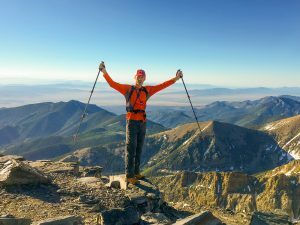 This awesome 13, 064′ peak is the tallest in Nevada, and would be the second highest in Utah were it to shift 20 miles or so to the East. 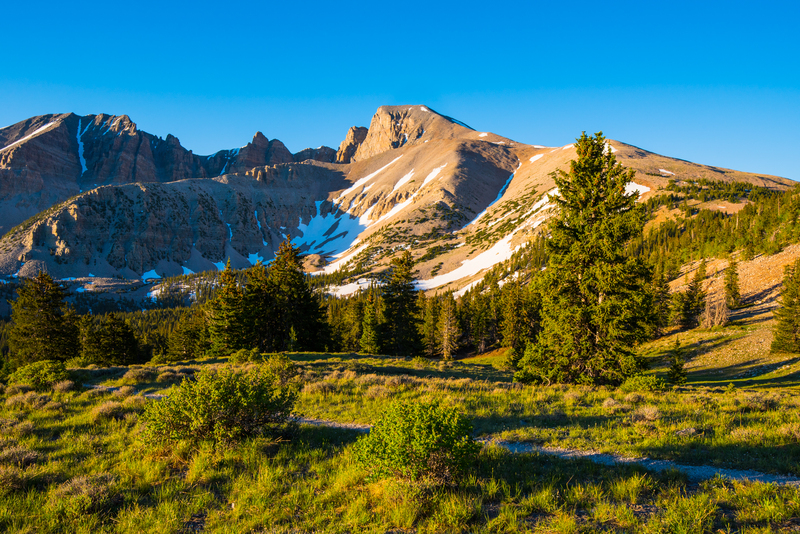 The Great Basin receives much less hype than it deserves, likely because of it’s proximity to…well…nothing. 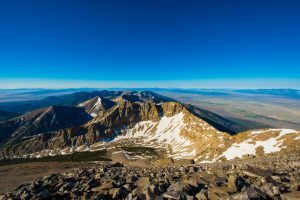 The Great Basin is not near much of anything and rests just West of the Nevada/Utah border near the Nevada town of Baker and the Utah town of Garrison. There are a system of caves in the park, most notably the Lehman Caves next to the Great Basin Visitor Center. You can buy tickets for tours here: Lehman Cave Tour Reservations. Every year now for the past 3 years we have made the drive (about 3 hours from St. George, UT) to the Great Basin. Some of our favorite activities are collecting pine nuts and hiking the various trails. 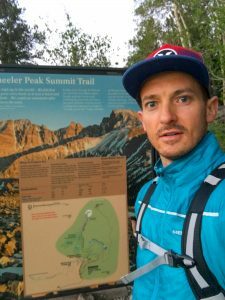 This past June was the first time I had attempted to hike the peak. For the past couple of years we have camped by ourselves. This last year we brought a group of friends. 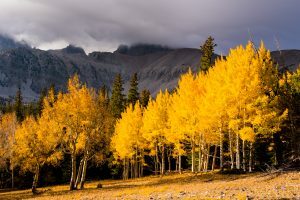 Finding camping spots can be a little difficult because this is a National Park that is not made for day trips, and the camp spots are generally available on a first come first serve basis. The park often hosts stargazing events because the skies in this area are some of the darkest in the Nation. Camp spots can be severely limited at those times of the year when they have these events. This park is close to nothing, so planning a visit usually means camping for a night or two. 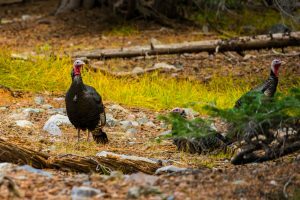 During this last trip, there were no camping spots available up the main canyon, so we took the dirt road to the South and camped in site #7 of the Baker Creek Campground. This was still a nice area, with some good hiking and a creek close by. 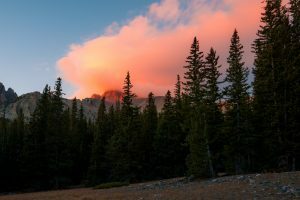 After arriving Thursday afternoon, we set up camp and Brett and I planned to head up to Wheeler peak first thing in the morning. 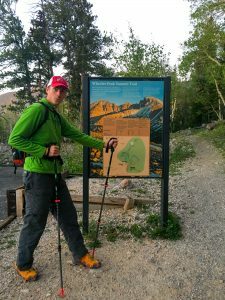 The goal was to leave by 5 am and have the light barely coming on when we began the hike, however I forgot to calculate the time change in when we crossed the Nevada state line, and we started an hour later than anticipated. 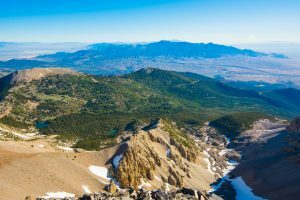 The drive from our camp was 3 miles back down the dirt road, and then 11.5 miles up the Wheeler Peak Scenic Drive. 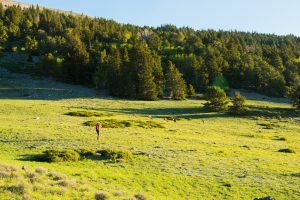 The trail head to summit Wheeler Peak is in on the right hand side of the road not long before you get to Wheeler Peak campground which is the end of the road. 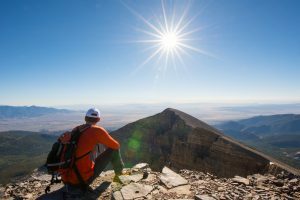 You start out at just over 10,000′ elevation, so realistically there are only 3000′ to climb. The hike is 8.6 miles round trip from this point. In late June a jacket was warranted to begin the hike. For this hike I decided to take a lighter camera bag, the newest version of this is the Lowepro Photo Sport 200 AW II. It has room for a full sized camera body with a lens attached and room for one more lens. A light tripod fits nicely on the side and it has a spot for a hydration bladder and room for cargo on top. I left the tripod back at camp for this one, as we planned to do some running. 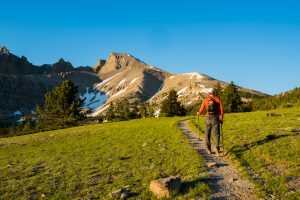 The hike begins with both gradual ascents and descents, winding through pines, aspen and meadows with Wheeler Peak clearly visible to the Southwest. We started of jogging a little bit, but pretty quickly the difference in oxygen was apparent and we slowed to a brisk walk. 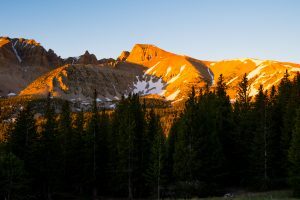 The early morning light really puts some color on the peaks. Through this part of the hike and over toward the other lakes, you are likely to run across wild turkeys and deer. Brett thought he’d get some closer shots of some bucks we saw in the early morning. After about a mile or so you come across the short trail to Stella Lake. This is a nice little alpine lake at the base of Wheeler Peak. 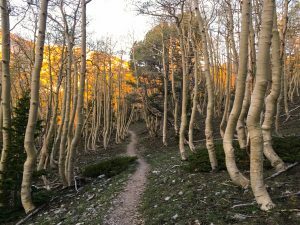 Here the trail splits and you can take the trail left to the other lakes or head right up to the summit of Wheeler Peak. At this point the trail starts to make a steeper ascent. You essentially climb to the top of that ridge you see on the right hand side of Stella Lake. At the top it levels off to more of a gradual ascent for just a bit before it turns into a climb up the trail through rock and scree. For us, no breaks. We kept going all the way to the top on a steady climb. We crossed a field or two of snow/ice that had not melted yet, but for the most part the trail is clear to the top. Once on top you can see a really long way! The valley floor seems a long way down, probably because it is. After soaking in the sun on the top, we headed back down on a jog that turned into a run as soon as we could safely make it such (you can see Brett running down from the peak here). We kept the run nearly all the way back, with exception of one more stop at Stella Lake on the way down. We made it back down the mountain in just a few minutes over an hour. The entire trek took us a total of 3 hours to complete. We hadn’t seen a soul on the way up, but on the descent we passed several groups and individuals resting on their ascent. Here is another view of Stella Lake, as seen on the descent from the peak. 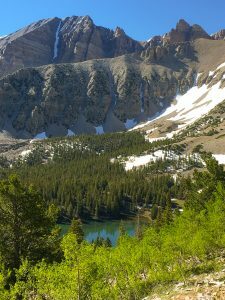 The Great Basin is a place I highly recommend visiting. And if you are going to go, you might as well bag a 13,000′ peak while you are there. Here are a couple of other views of Wheeler Peak taken at different times of the year.